Today we flew from Johannesburg to Victoria Falls and boarded a van for Hwange National Park in Zimbabwe, the largest game reserve in Zimbabwe. Phanuel, our OAT trip guide, met us at the airport and pointed out sights along the two-hour drive to the park. 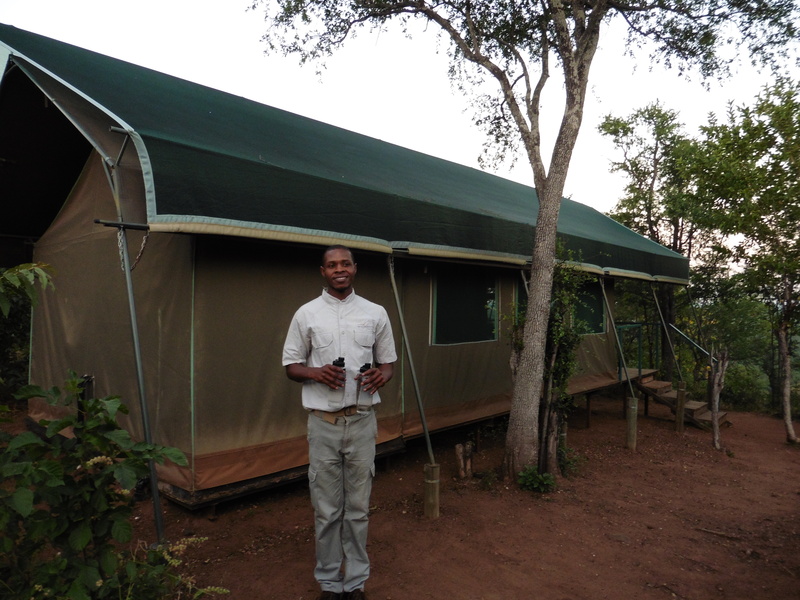 At the entrance to the park, we boarded safari vehicles for a one-hour game drive to our camp. 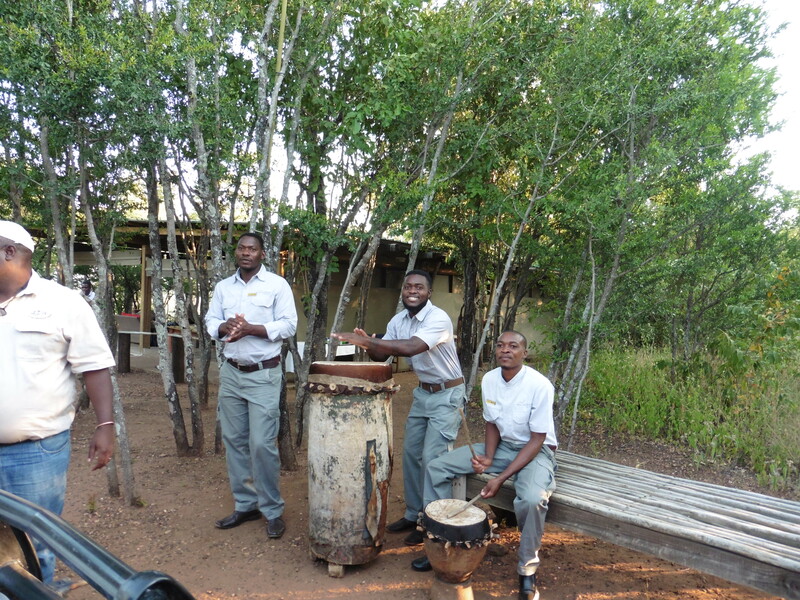 Camp staff welcomed us with music and special drinks. 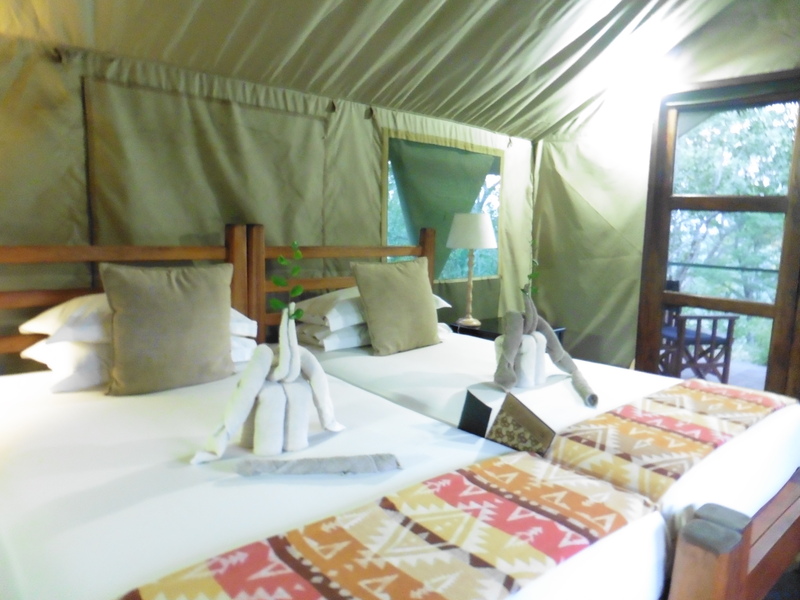 The main area is open air, and we each have our own individual tent cabins. Once it is dark, we must be escorted to our cabins by a staff member armed with a rifle. Our cabin is really a tent with canvas sides and screen doors, but it has electricity and a bathroom with solar-powered hot water. It is totally charming. After dinner, Phanuel imitated the animal sounds we might hear at night and reminded us not to leave our cabin unescorted. As I lay in bed listening to all the animal sounds, I heard an elephant and at least two other animals I couldn’t identify.